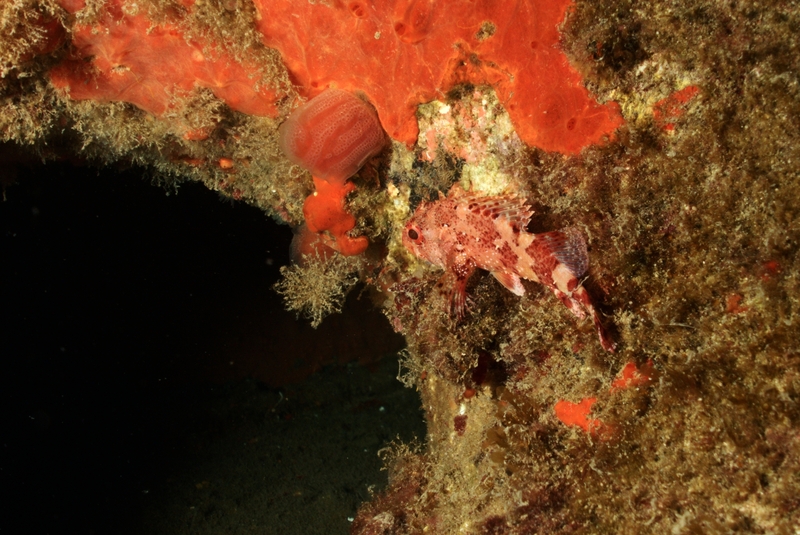 Still practising a bit of macro… This red scorpionfish (Scorpaena scrofa), like many, many, many others of its kind, hung out on the Um El Faroud. This work is licensed under a Creative Commons Attribution-ShareAlike 4.0 International License. Please attribute Kristaps, the photographer, with a link to kristaps.bsd.lv/photo0051.html.